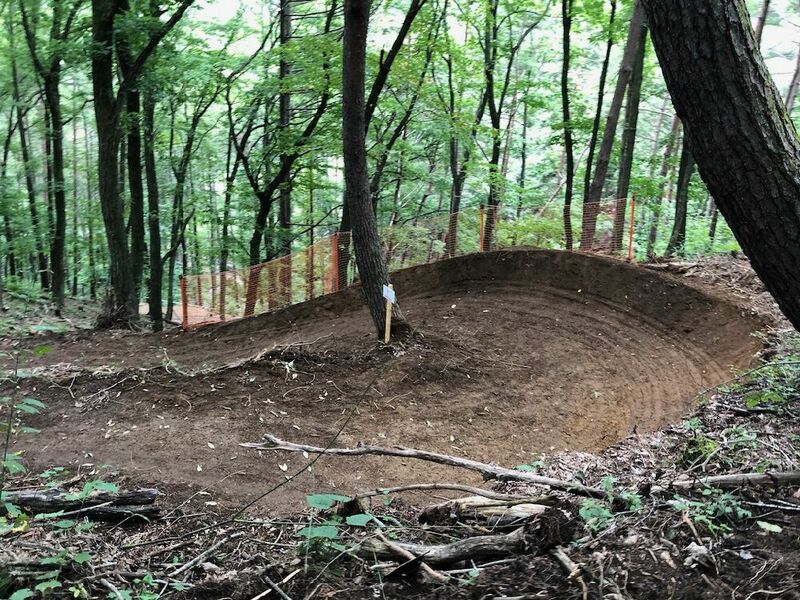 Home » スタッフダイヤリー » New trail open soon! As you know, Fujimi Panorama MTB Park was greatly reneweal “Skill Up Area” this season by Course Builder Mr. Yuta Urashima. And another more new trail will open this weekend. 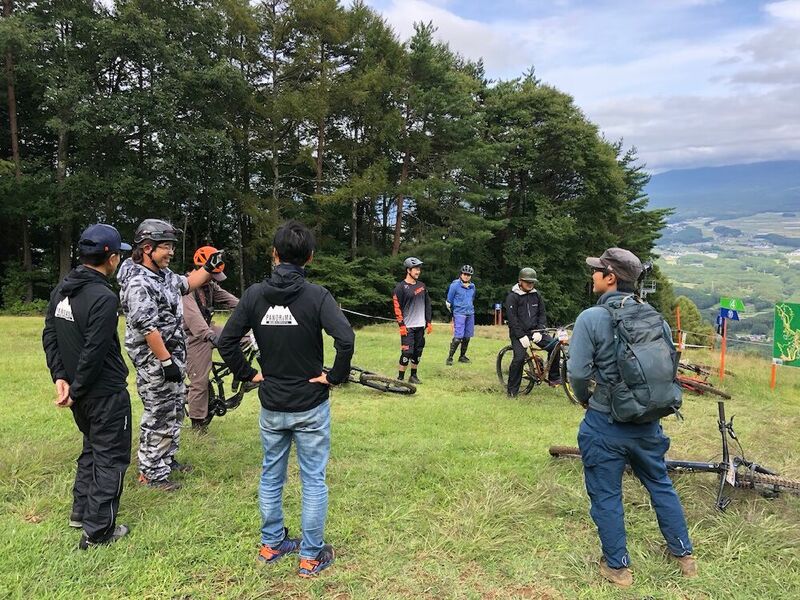 Yesterday, we went to check at new trail with Fujimi Panorama working staff. 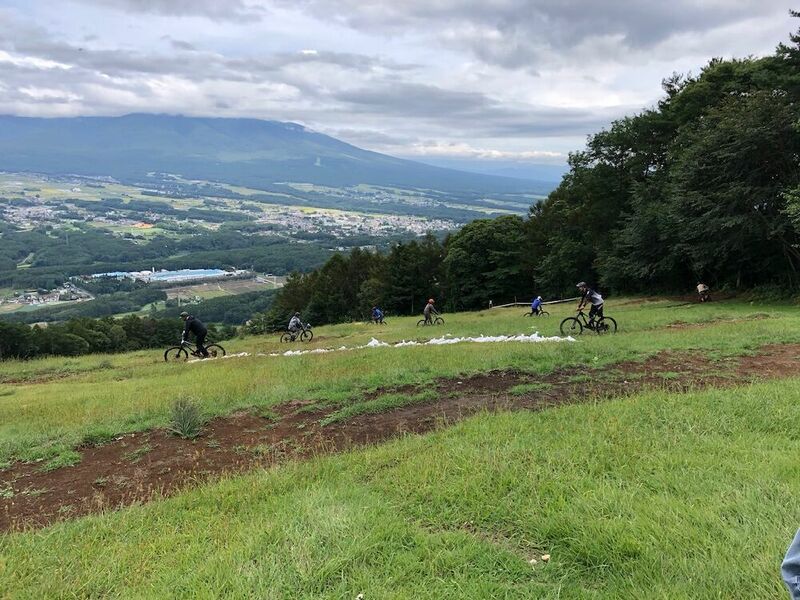 The name of the new trail is also called “Zekkei trail”. 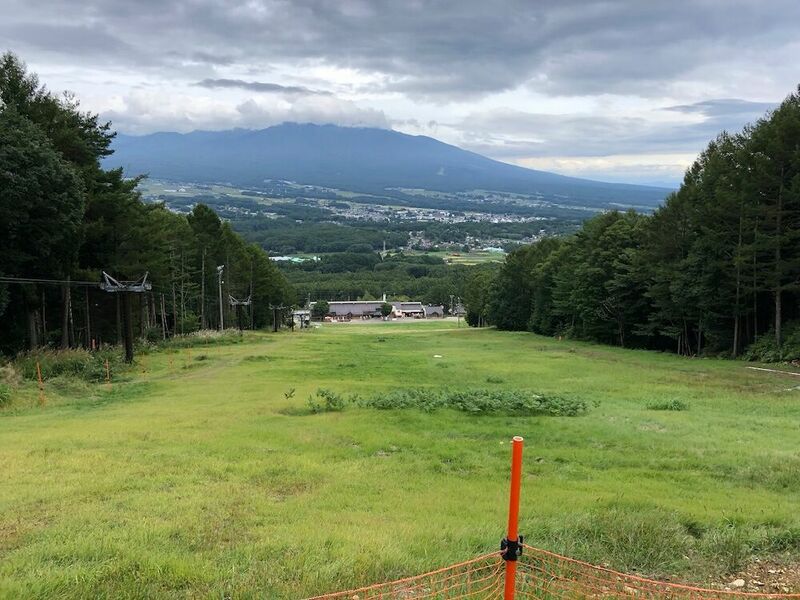 The starting point will start from the No.4 chair lift end point (the place C at the course map) where No. 8 (old name :A course), No. 13 (old name: B course), and No. 3 (old name: C course) crossing point. Beginning from loose switch bucks of the slopes so that even beginners can run with confidence. The view which can be seen from here is the best! After that, go to throu newly created single track. 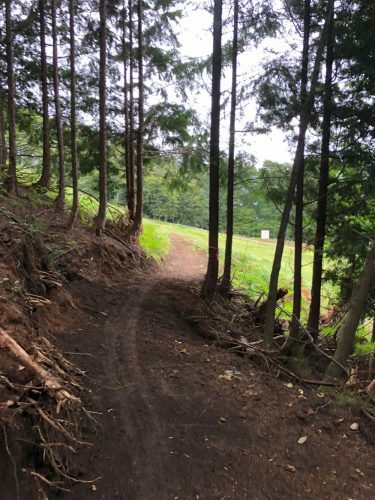 It is a single track, it is designed to run reliably with a flat gentle slope so that even beginners can run with confidence. Then cross No.14 (Lower B course) and No. 10 (Lower A course). A beautiful big balm is set up on the way. The new bridge crossing is established at No. 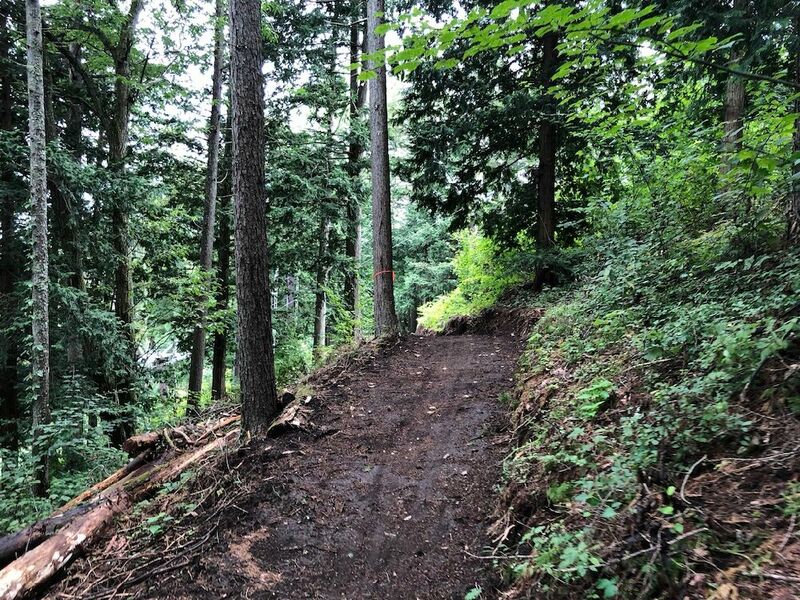 15 (A’ trail), passing under it and reaching the center ski slope. 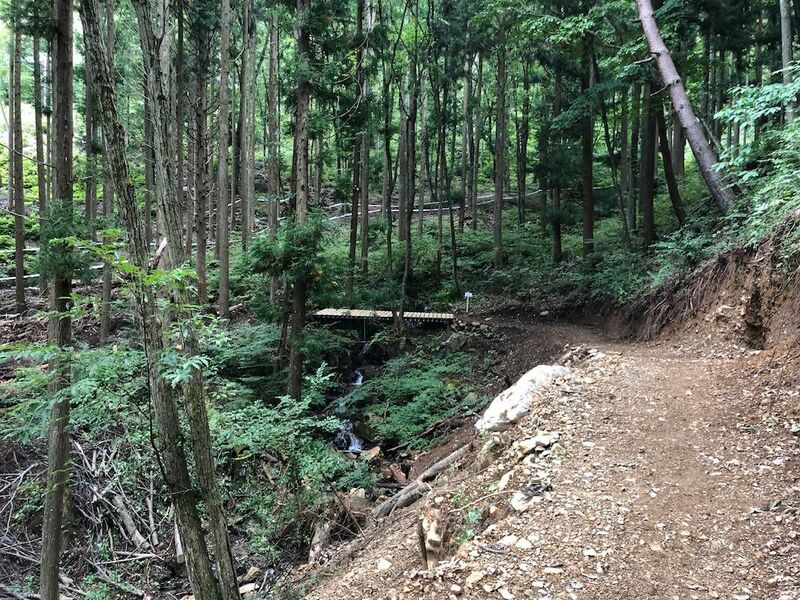 It is a semi-long trail about 2.5 km which traverses from the center slope to the skill up area and returns as it is through the skill up area. 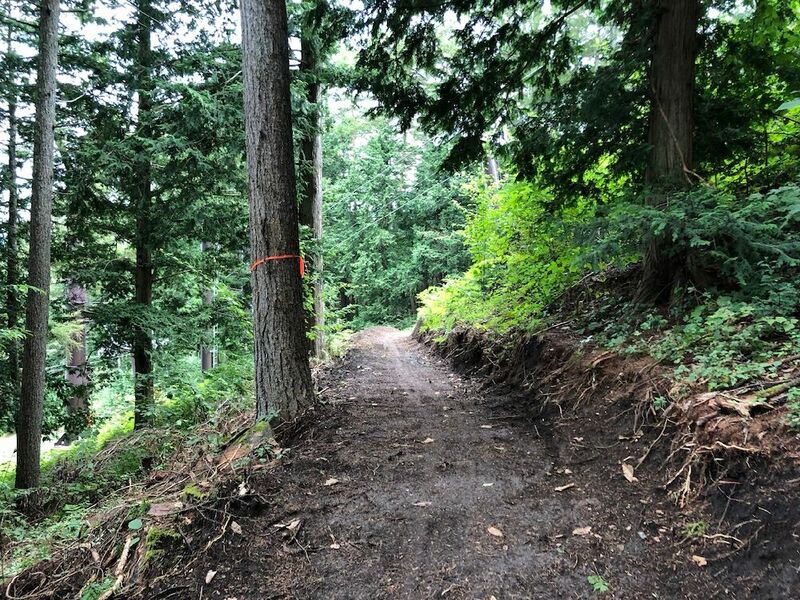 Match better for downhill beginer rider, rides by hard tail bikes, parents with kids rider (make sure coming after practice at skill up erea) this trail. Will be open on Sep 16th Sunday (the day after tomorrow)!